NETELLER is a UK-based company, which provides e-money operations services in more than 180 countries in the world. It is used mostly in scopes of online betting and gambling, enabling customers to instantly and securely upload their funds into an online account. Even though it was founded in Canada in 1999, the company was moved to the Isle of Man in 2004. It is not and was never meant to be a bank. It operates under the regulations of FSA (Financial Services Authority of UK), which imply that customers’ funds are saved separately in trust accounts, so that they don’t interfere with the company’s operating cash. In the many years of activity, the company has gained a very good reputation among bettors and gamblers online. NETELLER enabled online gambling payments in 2000 and has had a lot of success in this field. By 2005, more than 80% of the total gambling payments around the world were processed by them. Customers can benefit from NETELLER’s services by signing up on their website. Accounts are supported in various currencies, including EUR, GBP, USD, CAD, etc. The funds can be uploaded using a bank, credit/debit card or other methods, such as POLi, Giropay, iDeal or Ukash. Money can be sent to merchants, other NETELLER customers or any other retailer using the Neteller debit card. Withdrawals can be made by bank transfers, cheques or from ATMs. What benefits do you have using NETELLER? If you are a passionate gambler, then you must know how much trouble money management can cause. NETELLER is there to help you. The NETELLER’s Net+ card can be used to access your funds from any ATM on Earth or to pay for online purchases. Their services are especially needed in markets where traditional payment options might not work. Millions of satisfied customers over the world, as well as the Best Payment System award of the Fifth iGB Affiliate Awards (2012) prove that NETELLER offers services of the highest quality possible – convince yourself by signing up today! Bank deposits – will take your money 2 to 5 business days to be transferred. Limited option, since it is available only in the UK, Finland, Denmark, Sweden, Norway, Germany, France, Spain, the Netherlands, Italy, Poland, Ireland, Japan and India. With this method you deposit your money into the NETELLER bank account, which can be done at local banks in any of the above mentioned countries. It is the cheapest way to upload funds, since it is free of charge. International bank transfers – again, this will take a few days. If you are in a country which is not listed above, you might as well make an international bank transfer, which may be charged by your bank for the cross border transfer, but not by NETELLER. Net+ Prepaid Card: instant withdrawal through ATMs. Transferring money onto your casinos’ or sportsbooks’ accounts requires you to initiate a transfer from the “merchants’” website. But you can also use the transfer tab on the NETELLER website, which would takes you a bit of extra effort. These transfers are free of charge. Peer-to-peer transfers, or transfers between NETELLER users imply a fee of 1.90% of the amount transferred and they are not possible in Israel, China, Turkey and Vietnam. Register here with NETELLER! One of the best features at NETELLER is that you can use their own credit cards: the Net+ Prepaid Card and the Net+ Virtual Card. Both of them are accepted everywhere, since they are provided by MasterCard. You have direct access to the NETELLER account, what enables you to use the cards exactly as you want to. Click here to get a Net+ MasterCard. The Net+ Virtual Card allows its users to generate a unique card number for every single transaction and delete it once it is completed. Thus, even if somebody manages to find out your Net+ Virtual card number, it will not be functional. The currency of your cards should be the same as the currency of your account. However, if the currencies differ, you can always make a foreign exchange, which implies a 2.95% fee for a transaction. Net+ cards are available in British Pounds, US Dollars, Euros, Canadian Dollars, Swedish Krone, Danish Krone, Australian Dollar and Japanese Yen. 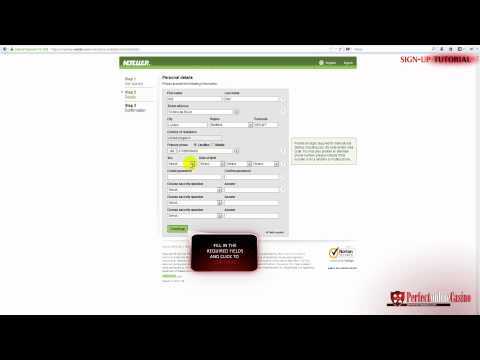 In order to get the Net+ cards, you need to apply on the NETELLER’s website. It takes about 21 working days to arrive by mail. Please consider that Net+ cards are not available in all countries. Get your Net+ Cards today! NETELLER is considered to be one of the safest e-wallets on the Internet. Using the same technologies that banks are operating with, namely 128-bit SSL technology, enables them to provide you greater protection than most of the online payment systems. The British Financial Services Authority accorded NETELLER the status of Authorized Electronic Institution, which proves its level of security again. Click here to register at Neteller! Confirmation of the e-mail address. Take a look at their interface and don’t hesitate to sign up! Customer Support is always available to deal with any issue that might occur. A live chat feature is also supported, where you will get the quickest answer to your questions. Telephone, e-mail and regular mail are other ways of contacting your e-wallet provider.